A looong time ago, I made cards. It was this little thing I made into a side business. It was not overly successful. In fact, I still have a lot of the cards that I created. They come in handy when none of the cards from Meijer or CVS will cut it. And lately, they really don't cut it. But, really, it's not like my cards closed the gap. Hence, I still have most of them. The name of the business is what stuck, though. This is also my third and final identity. This one is much easier to process because it's not so much about me, but the service. It's not what I want, but what the client wants. My goal is to make them happy, while also making a little money on the side providing a service. That's not the part that concerns me the most. It's that my little side business has been with me for over 10 years, and that's exactly what it is. But I've tried to do a couple of different things with it. First, came the cards. I set up booth space at a few craft fairs, bought a card holder -- one that spins around -- and hoped to sell any card I could. And while I sold a few, I merely made enough money to buy more supplies and make more cards. Since the cards weren't always so successful, I widened my reach with photography in general. Portraits to be exact. Since, I've been able to take pictures of families, seniors, and events. I've recently added professional head shots to my portfolio. It's not necessarily my goal to make this into an entire side-career. For example, I won't do weddings. I know that's where the money is, but that's also where the stress lives. I would hate to get those pictures wrong. It's not that I couldn't do it. I just don't want to. Nor would I be happy about giving up an entire Saturday. And then give up another entire Saturday just to go through the thousands of photos and edit them. And then give up yet another Saturday to meet up with the happy couple and show them all the photos. I'm sorry, but I don't feel like reliving your happy day over and over again. I'd rather just watch the movie "Groundhog Day" and photograph your family. It was one of those things where I wanted to learn how to sew because HGTV brainwashed me into thinking it a valuable skill. Then, because it's genetic (great grandfather was a tailor, my mom worked at Singer and sewed her own clothes), I realized I wasn't too bad at it, especially for being self-taught. 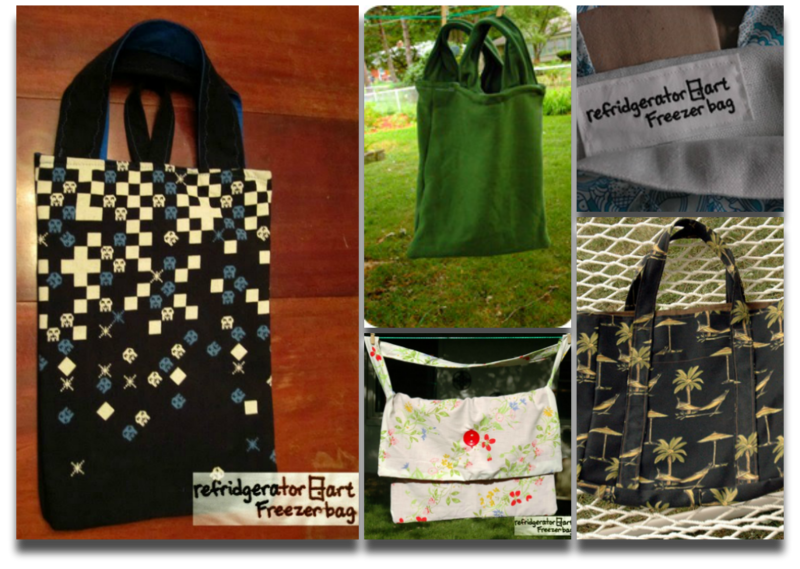 So, I ventured forth with another leg of the Refridgerator Art brand and created bags. But not just any bags. No. They had to fit under the umbrella of Refridgerator Art, so I called them Freezer Bags. I opened an Etsy store, I put them in a local store in the neighboring city, and I waited for people to buy what I created. I reused t-shirts and materials I found at Goodwill or antique shops, and I gave them catchy names. I priced them so they weren't too outrageous. I spent afternoons creating them. I bartered with a friend to have my labels embroidered on white fabric -- and they were amazing because they were stitched versions of my handwriting. 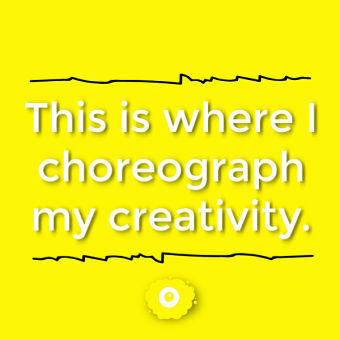 Of my logo! This is great! My cards didn't sell, but these could! So far, the only true success has been the photography aspect, and while there are things I could be doing differently to build up my brand and presence, this identity causes the least anxiety out of the three. It's also the one that has made me money. I continue to rethink how Refridgerator Art can grow, and I believe the future of my little endeavor is where it started designing digital cards and invitations and selling them on Etsy. Since it's considered Refridgerator Art: Design and Photography, it could become a combination of cards, bags, photography, etc. Heck, I may even re-post the bags for sale. So, if this one makes the most sense, why is it a part of your anxiety chronicles? Well, it's the third identity. Something that's creative, a part of me, and something I'm not willing to part with -- yet still requires time to build. I've got three identities that require time to build. Each one fights for attention. I'm a parent, and I need to schedule one-on-one time with each of my three children. The only thing I've thought of that would help ease my anxiety over all three children is to devote certain days to each. On Mondays, focus only on anything My Bucket of Parts. On Thursdays, post as The Vade Mecum, both on Twitter and on my website. On Tuesdays, create one thing that I could sell through Refridgerator Art, especially if I'm not taking photographs for people, and build up my little digital card store. On any other day, when I'm none of those identities, I should focus on the author I want to become, and if that falls under My Bucket of Parts, so be it.